Toombs County, GA Traffic Tickets - The Hube Law Firm, P.C. Toombs County, GA traffic tickets can often be resolved without you having to appear in court, and without adding points to your driver’s license. 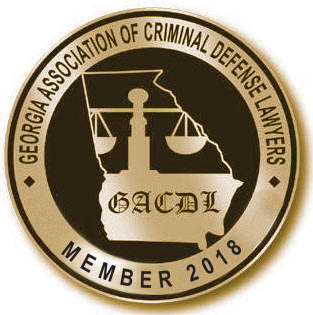 Georgia traffic ticket attorney Matt Hube wants you to understand your options in you have received a traffic ticket in Lyons, GA. You can usually either mail in your fine and guilty plea, appear in court yourself, or hire Matt to represent you in court. If you mail in your fine and guilty plea you will have points added to your driver’s license and may see an increase in your insurance rates. If you have enough points on your driver’s license, your license will be suspended. If you represent yourself in court you are usually allowed to try your own case, but you will be held to the rules of evidence and proper court procedure that attorneys are presumed to have. This puts you at a disadvantage against seasoned prosecutors and police officers who regularly appear in court. Almost all Lyons, GA traffic tickets can be handled without you having to appear in court. Attorney Matt Hube will appear on your behalf and negotiate with the prosecutor to have your traffic ticket reduced so that you will not have points added to your driver’s license, and risk increased insurance and other costs. If you fail to either appear in court, or hire an attorney to represent you, a warrant will be issued for your arrest and your driver’s license may be suspended until you resolve the traffic ticket. Contact Toombs County, GA traffic ticket attorney Matt Hube right now for a free consultation. Matt will explain how he can resolve this matter for you without the need for you to appear in court. Contact him right now.